Before we can get into the history of steel and discuss its importance to our daily lives, we should take a look at global production of iron and steel, as there has been a series of very interesting developments recently that have the potential to greatly impact the steel industry, but also the global economy. According to the United States Geological Survey (USGS), the largest producer of steel in the world is by far and away China, with an estimated 843 million tons in 2017. The next closest to China is Japan with 104 million tons in 2017 followed by India and the United States with 99 and 82 million tons produced respectively. China’s steel mills produce around one-half of the world’s steel. The country exports about 100 million tons worldwide every year and therefore has great influence on global steel markets. A number of trade petitions have been made in recent years from North America and Europe addressing China’s excess capacity. In response, China stated its intent to reduce steel output, pledging to remove some 150 million tons per year of steel production capacity by 2020. This would reduce capacity to about 700 million tons. It will be interesting to see how this all plays out and how this affects steel prices and steel production in the near future. According to the FocusEconomics Consensus Forecast Commodities, "growing uncertainty in the market and the ongoing supply glut will keep prices constrained despite a moderate pick-up in demand." European steel prices are forecast to average USD 506 per metric ton in Q4 2018 and USD 468 per metric ton in Q4 2019 while U.S. steel prices are projected to average USD 591 per metric ton in Q4 2018 and decrease to USD 574 per metric ton in Q4 2019. With society becoming more stratified and trade increasing, more efficient processes to produce iron were needed, like the blast furnace. The blast furnace was originally used as far back as 100 AD in China, however, it made its way west slowly and was introduced in Europe during the 15th Century. The blast furnace was able to increase the production of iron dramatically. Preheated air at about 1000 degrees Celsius is blasted into the furnace from nozzles at its base. Contrasting with the bloomery, the iron in blast furnaces is heated to above its melting point, along with flux materials. Flux is the purifying agent that purges the metal from the chemical impurities and allows the iron to be extracted more easily. Flux in this case is limestone and coke. Coke is a refined bituminous coal, also known as coking coal, with very few impurities. Similar to the use of charcoal in bloomeries, coke produces carbon monoxide when burned which in turn reacts with the oxygen to remove it. The limestone reacts with the heat to create a slag of impurities that floats at the top of the blast furnace, which can then be drained away, leaving the heavier molten iron below. The advantage of this method was that it produced steel in even greater quantities than the Bessemer Process; 50-100 metric tons could be produced from a single furnace. The process was fairly slow in comparison to the Bessemer Process, however, this allowed for better quality assessment to make steel to exact specifications. Despite the slower process, the advantages proved to outweigh the disadvantages and by 1900 the open-hearth furnace had largely replaced the Bessemer Process. The leaps and bounds made in electrical engineering toward the end of the 19th century and into the 20th century presented the steel industry with new opportunities in steel production. The Electric Arc Furnace (EAF), which was first developed just after the turn of the 20th century, is still used to this day. Although electric arc was experimented with to melt iron as early as 1810, Frenchman Paul Héroult was the first to employ the idea to steel production with a commercial plant in the United States in 1907. The EAF was designed to pass an electric current through a charged material, which heats the iron up to temperatures of 1800 degrees Celcius. EAFs have various other advantages. EAFs are able start and stop production as needed, something blast furnaces cannot generally do. This allows EAFs to vary production according to demand. EAFs also allow for the production of steel from 100% scrap metal. This greatly reduces the energy required to produce the steel compared to steel making operations from iron ore. Although EAFs usually create steel from scrap metal, molten iron from a blast furnace can also be used. EAFs are growing rapidly and are currently responsible for about a quarter to a third of the world’s steel production. 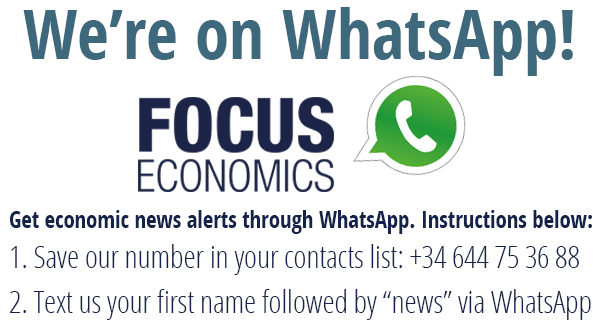 If you have any other questions related to steel or would like to suggest another commodity for us to cover in our next explainer post, send us an email at blog@focus-economics.com. Also, don't forget to download one of our sample reports by clicking on the button below.